Considered one of the most fan-friendly sports teams in the Metroplex, the Dallas Sidekicks mix amazing indoor soccer with fun family entertainment to provide an unforgettable night of excitement for fans of all ages. In addition to the high-scoring action on the field, fans are treated to interactive contests and promotions during timeouts and breaks in the action. 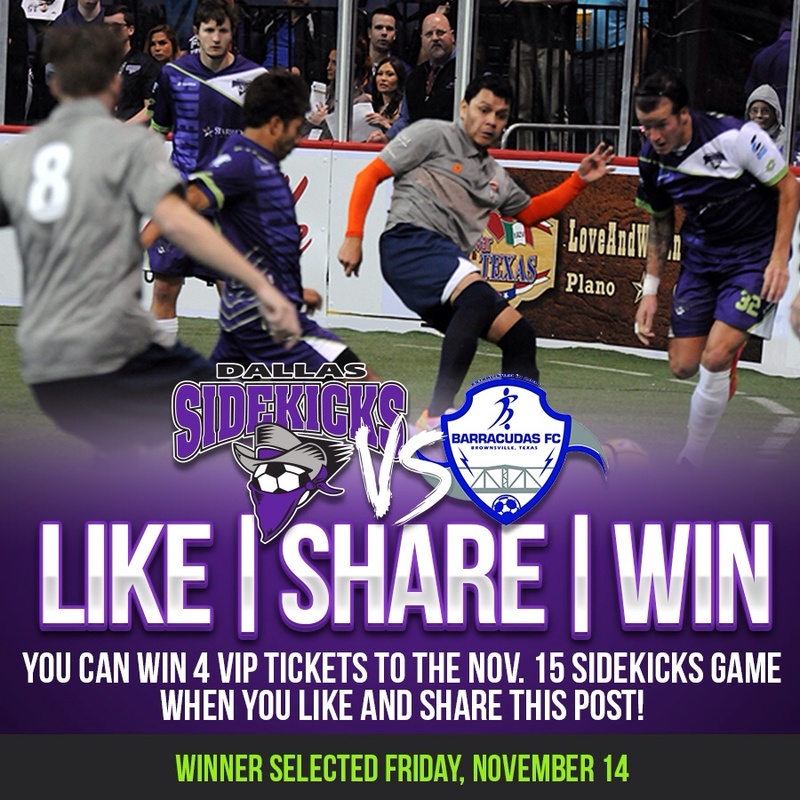 North Texas Kids Magazine is partnering with the Dallas Sidekicks to give away 4 tickets to Saturday’s game. Winner will be chosen the morning of Friday, Nov 14 and must respond as soon as possible on the same day. This is a 2 Day Flash Giveaway that ends Thursday, 11/13th @ midnight CST. To purchase tickets visit www.ticketmaster.com. Contest ends on Thursday, 11/13 @ midnight CST. Winner will be chosen and notified the morning of Friday, 11/14 by email (the one you use to leave the comment below) and must respond ASAP! Tickets will be available for the winner at Will Call. Our son tried out for this team and is going to try out again. We attempt to make every home game we can and we need to to go to this game! It’s his birthday!